CAIRO, Egypt -- Among passengers on missing EgyptAir Flight 804 was a student training at a French military school who was heading to his family home in Chad to mourn his mother. The protocol officer for Chad's embassy in Paris, Muhammed Allamine, said the man "was going to give condolences to his family." Allamine said the man, who wasn't identified, was a student at France's prestigious Saint-Cyr army academy. 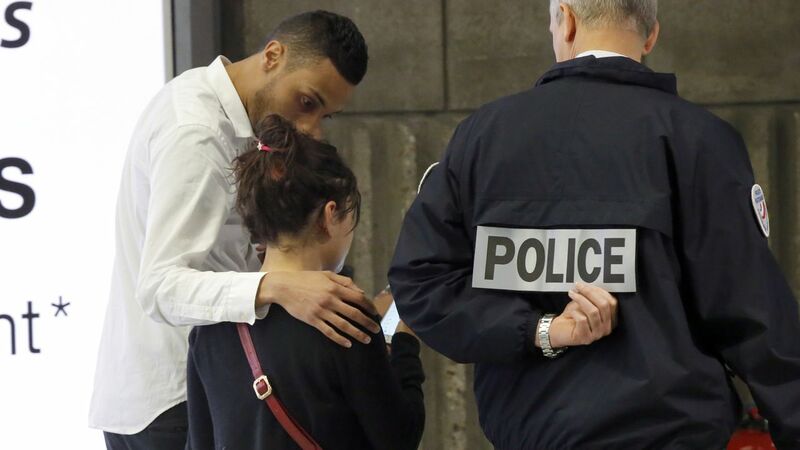 Another passenger on the flight was an Egyptian man returning home after medical treatment in France, according to two shocked friends who turned up at Paris' Charles de Gaulle airport. "It breaks my heart," said one friend, Madji Samaan. Passengers arriving for the 3:45 p.m. EgyptAir flight from Paris to Cairo faced heavy gray curtains drawn over the departure hall and journalists waiting outside. Most of those interviewed stayed stoic, saying it didn't make sense to cancel their plane trip out of fear - even if many acknowledged being a little rattled. Officials say EgyptAir Flight 804 from Paris to Cairo crashed into the Mediterranean Sea early Thursday with 66 people on board.